I'm a huge skincare junkie, so I was really excited when I received a parcel of skincare goodies* from Dr Botanicals. 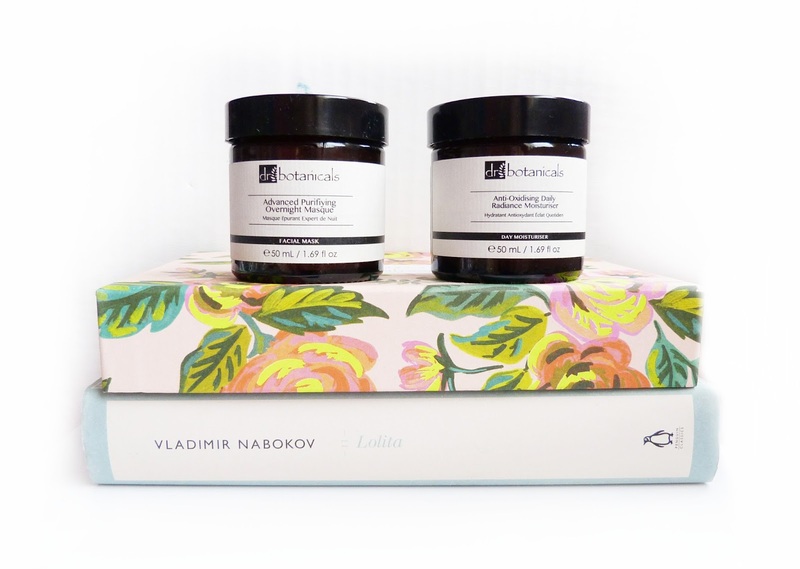 Tearing open the paper, I was surprised to find myself with two, full-sized pots of daily moisturiser and night cream. They were certainly not sample sizes. I gave them to my mum. As I've mentioned in previous posts, my mum does not spend money on high-end makeup and skincare. She'll stick to her Maybelline and Rimmel and is perfectly happy with her oil of Olay, which she has been using since she was 18. Because of this, I felt she was the perfect person to give an honest, unbiased review on these products without me telling her the cost of them. So here we have it, a fabulous guest post, straight from the mind of my lovely, crazy mum. 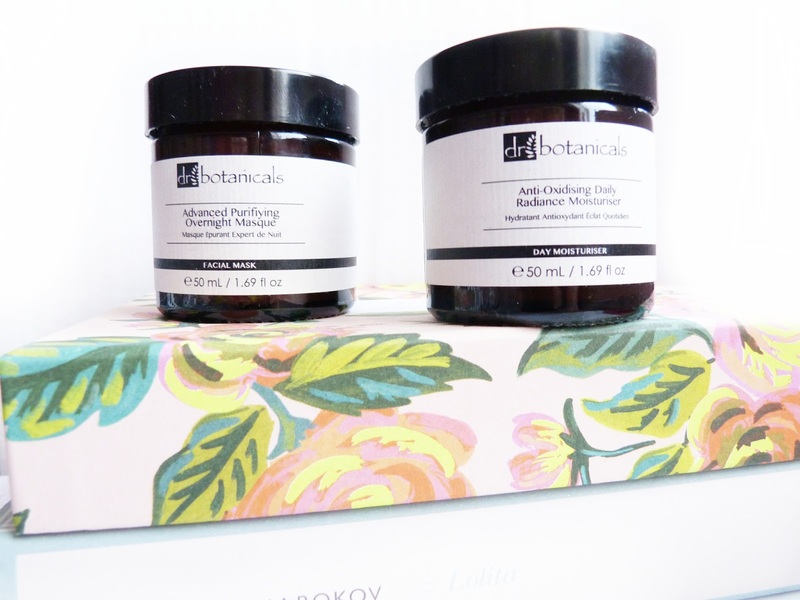 As I have slightly more 'mature' skin than my daughter, I volunteered to road test the Dr Botanicals Daily Radiance Moisturiser and the Overnight Masque. I am admitting to being the wrong side of 35 and will accept my official age as 38, although my birth certificate says 1971 (a disgusting admin error, you just couldn't get the staff in the 70s) and so I felt the effects of the products would appear more on my skin than on Alice's. As mentioned above, I am truly an Oil of Olay girl through and through. My Gran stockpiled it in 1985 and still had a decade's worth after she died in 1994, so that is all I have ever used, making this a big change for my skin. Starting with the anti-oxidising moisturiser, I was incredibly impressed with the luxurious texture from first laying eyes on it. Only a small amount was needed and it absorbed beautifully into my skin. The fragrance was amazing and gave me the feel-good factor almost immediately. After two days of using it my husband complimented me on my makeup... which I haven't changed in 10 years! He said I looked really freshed-faced and asked if I had changed something - Result! When I later saw my best friend, she told me I looked different. Translated, I took this to mean 'fabulously young' as I believe that is exactly what she meant. Combined with using the Advanced Purifying Overnight Masque, I truly believe my skin is looking younger and more supple, especially around my eyes. As only a little is required to cover your entire face, these 50ml will last absolutely ages, smell divine and definitely feel like they are doing my skin some good. Would I purchase these myself? Hmmm. When Alice told me the cost of the products I was absolutely horrified, I had put them on my hands and arms! However for the lovely quality and effect they have, I would happily accept more as presents, hehe! If the price was to change I would definitely consider buying more of the daily moisturiser, it's a little bit of a miracle at the start of the day. This will be a lot shorter than my mum's review as I have only been using the daily moisturiser and have not yet tried the masque, but lord above, it's good stuff indeed! You literally need the tiniest amount on your finger to cover your entire face, I actually got three day's worth off what was just on the inside of the lid, that's what good value it is. The scent is awesome. It smells like lemon sorbet and absolutely melts into your skin. It's also an amazing makeup base as it becomes slightly tacky before it fully absorbs, making it a great moisturiser/primer combo. I have definitely noticed a glow to my skin when I use this moisturiser, especially when I mix a little bit into my foundation itself. Whilst I wouldn't pay £100 for it, it really would be worth splashing the cash on if you fancy a really good treat. So there we have it! What do you think to these wonder-creams? Psst! After writing this post I found the daily moisturiser for £29.99 here! Treat Yo'self! After writing this post I found the daily moisturiser for £29.99 at HQ Hair.com! Treat Yo'self!